New Delhi: AIADMK (Amma) faction leader TTV Dinakaran on Monday sought bail in a special court and said while he was booked for graft charges, no public servant was made an accused in the Election Commission bribery case. His bail was vehemently opposed by the Delhi Police Crime Branch which said he had conspired with others to undermine the sanctity of the electoral process through corrupt means and practices. Special Judge Poonam Chaudhry after hearing the arguments reserved the order on the bail application for 31 May. Dinakaran's close associate Mallikarjuna, who was arrested with him on the night of 25 April, also sought bail on the ground that no recovery was made at his instance and he had joined the investigation even though no summons were issued to him by the police. The court also extended till 12 June judicial custody of Dinakaran, Mallikarjuna, alleged middleman Sukesh Chandrashekar and alleged hawala operator Nathu Singh. Co-accused Lalit Kumar, who was also alleged to be a hawala operator, is in judicial custody till 5 June. During the two-hour long hearing, senior advocate Aman Lekhi, appearing for Dinakaran, argued that the police was desperate to keep the leader in custody and he cannot be denied bail on the ground that it was a serious case. "Police say there is accusation against you, so you cannot get bail. My conduct of joining the investigation makes me entitle for bail. Police has invoked section 8 of Prevention of Corruption Act in the case but what was the haste and hurry to impose this provision. "None of the arrested accused are public servants. It is sheer abuse of law. Public servant stands unidentified. He is not before this court. There has to be at least one public servant for imposing graft law," the counsel contended. Senior advocate Mohit Mathur, appearing for Mallikarjuna, supported Lekhi's argument that for invoking the graft law, there has to be a public servant accused in the case. He said police arrested Mallikarjuna as he accompanied Dinakaran and was a "convenient person to be arrested". The counsel also said when the accused were arrested, police said they have to identify the Election Commission (EC) officials allegedly involved in the matter and after over a month, they are opposing the bail on the same ground. Public Prosecutor Balbir Singh opposed Dinakaran's bail plea, saying he was an influential person who could influence witnesses and tamper with the investigation. He also argued that the case cannot be segregated in piecemeal at this stage as the offence of criminal conspiracy was involved and it was not a fit case for granting bail. 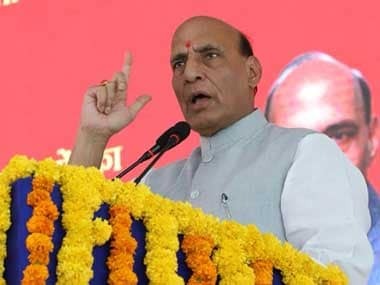 The court had on 22 May dismissed the bail plea of Chandrashekar saying it was not appropriate to grant him bail at this stage as it was a serious crime and he could tamper with the evidence. Earlier, police had sought the consent of Dinakaran and Chandrashekar for taking voice samples but both had denied. 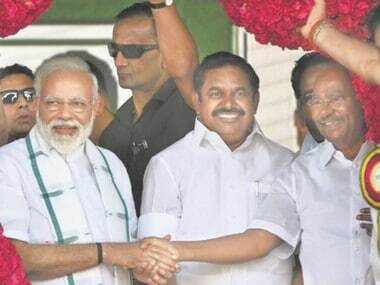 Dinakaran was arrested here on the night of 25 April after four days of questioning for allegedly attempting to bribe unidentified EC officials to get the undivided AIADMK's 'two leaves' election symbol. 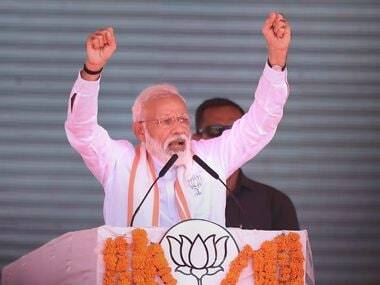 His faction had hoped to obtain the symbol for the bypoll to the R K Nagar Assembly seat in Tamil Nadu, which was later on cancelled by the EC after the alleged irregularities were reported in the media. The bypoll was necessitated following the death of Tamil Nadu Chief Minister J Jayalalithaa who was elected from the constituency. 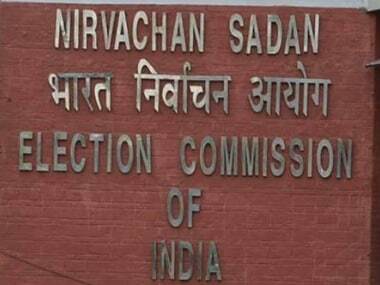 The EC had frozen the AIADMK's symbol after two factions of the party — one led by Dinakaran's aunt Sasikala and the other by former chief minister O Panneerselvam — staked claim to it. 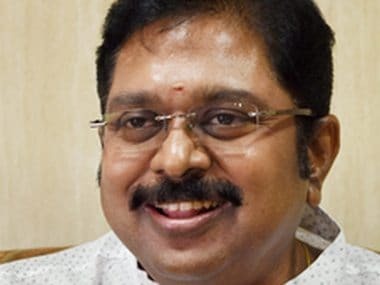 Dinakaran has been accused of allegedly arranging the money from undisclosed sources and getting it transferred from Chennai to Delhi through illegal channels. Mallikarjuna was arrested for allegedly facilitating a Rs 50-crore deal between Dinakaran and Chandrashekar.